You are buying Italian, French, German, Spanish, Russian or Chinese lessons at your location in central London zone 1. These lessons are private and flexible and can be rescheduled with at least 24 hours notice without any penalty. You can reschedule the lessons once. Hi, I’m Paola and I’m Italian, but I lived for 5 years in Buenos Aires, Argentine where I taught Italian and Napolitan in the “Centro Universitario de Idiomas”.I have a degree in Philosophy and I’m Social Worker. I worked a traslations Italian to Spanish and Spanish to Italian. I would teacher Spanish in London beacuse it’s a good form for no forget my Spanish and Italian beacuse it’s my mother tongue, and I love this languages and her culture. I come here because I must learn English… sorry for my errors! For me teacher is very pleasant, becuse I love the comunication, and also I learn in every class, I think it’s very important listen the student, because a lot people give me a new element for progress me. The teacher is the continuous change between persons, never I’m “only teacher”, the important is: knowledge, open mind, enthusiasm, creativity, dinamic, and that one teacher acceptes constructives critiques. In my teacher History there were students help me, with little critiques and after I change and the finish course these students asked for me again! I hope learn Italian and Spanish again because this job open my mind, and I know new people and cultures. I hope you perdon my English but is only one month that I’m here! I am a native and CLTA qualified Italian teacher with two years of experience in both one to one and small group lessons in London. I am currently one of the Italian teacher at Happy Languages Ltd. school where I run classes at all levels up to 14 students per class. Recently, I also followed a didactics research based on the collaborative learning . I am graduated in History of Art in Italy and I am now attending an on line Master course in teaching Italian language and culture to foreigners (ITALS) with the University of Venice to keep my skills and knowledges constantly updated. I really enjoy all my classes because I can see how students improve their communication skills and I can say they respond well to my methods. My teaching style is based on the Communicative Approach and focused on student’s needs. My lessons cover grammar and also cultural aspects because I am convinced that to learn a language you should also understand the real life of that country. That is why my lessons are mostly based on games and communication activities that create a good atmosphere among students and teacher and never make you bored! I well know that learning a language might be hard and sometimes takes long time, that’s why I am very patient and I proceed gradually, I always make sure my students understand before go through a new topic. I am very enthusiastic and passionate about my profession and my aim is to give my students a great learning experience. 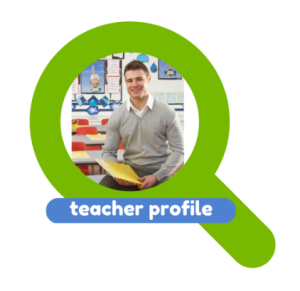 I am an Italian Teacher, with a long track record of tutoring (I started in 2004), taking responsibility for the progress of students, as well as planning, preparing and presenting lessons that cater for the needs. I have experience in teaching both as one-to-one tuitions and classroom lessons. First of all I need to know what is the student’s aim. Not everyone is interested in a deep knowledge of the grmmar; someone could be interested only in conversation, or in the culture, or in a specific issue. And then I can discuss with the student the best way to reach the goal and plan the lessons on consequence: I can easly adapt my teaching method according to students’ needs and difficulties, in order to find the best solution. I can use the traditional course books, integrated with other tools, according to needs and preferences: newspapers, classic works, movies, songs, recipes, and whatever you want. I am patient, calm, dynamic and passionate in what I do: I like my language and I am very happy when someone can communicate with my in Italian. That’s why I always try to use Italian as much as I can, during the lessons (I can also provide an English translation, if necessary). My education is a good way to see how deep is my knowledge of the Italian Language: I am Postgraduate with First Class Honour in Italian Language and Literature and at the moment I am a PhD student in Italian, with some pubblications.